Back in June, I wrote a post titled, “I’m not qualified”, about how we quickly believe the lie that we are not qualified for any leadership role. Think back to this key statement: God doesn’t call the qualified, he qualifies the called. Do you still feel unqualified? Maybe the root problem is that we limit God. We don’t believe that he can qualify us. Has God put something on your heart to do, but you have pushed those thoughts away? Friends, stop telling yourself lies. Elisha was a quirky man who had no leadership qualifications, but he was willing to follow God and learn how to do the work in which God had called him. Elisha believed that God could use him, and this belief made all the difference! In the book of 2 Kings, Israel continues to pursue wickedness instead of God. To call Israel back to God, he uses Elisha to perform miracles. Elisha could have limited God, but instead he allowed God to use him for his plan and purpose. He realized that there was no limit to God. Through Elisha, respect for God was restored in Israel. Elisha could have run from the situation, but instead he listened and obeyed God. This allowed God to show his power to transform any situation and person who is willing to follow him. God called Elisha and then qualified Elisha. What is God telling you to do, but you aren’t doing? Is it because you don’t believe in God’s life changing power? Take some time to think about that question. Journal your answers and begin praying that you will start believing that God will qualify you. I’ll be right here with you doing the same for my life. And remember, our relationship with God can either be based on what we do or who God is and what he can do. Stop limiting God and start believing in his power to qualify you. The follow-up to Judah Smith’s bestselling *Jesus Is __* gives readers four simple truths to find love, enjoyment, trust, and peace in God. Life is ___. How would you finish that sentence? In this follow-up to his New York Times and USA Today bestseller *Jesus Is __*, Judah completes the new sentence again and again, revealing how life is to be loved and to love, to enjoy God to the fullest, to trust God in every moment, and to be at peace with God, others, and ourselves. Judah writes as a friend, welcoming new believers, lifelong followers of Jesus, and even the merely curious. I love Judah Smith. The first time I heard him speak was at Passion a few years ago. He has a heart and passion for God and his book lives up to that. If you read his first book, or even if you have not read his first book, this book will change your heart. Judah Smith and his wife, Chelsea, are the lead pastors of the City Church in Seattle, Washington. The author of the New York Times bestseller Jesus Is ____, Judah is in high demand as a speaker in the United States and abroad. He and Chelsea have three children: Zion, Eliott, and Grace. 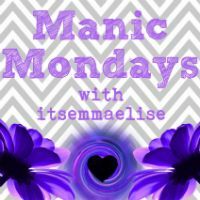 Thank you for sharing your article at Inspire Me Monday at Create With Joy, Joy! I think that because our minds are limited by small thinking, we forget that God’s possibilities and thoughts are limitless! How exciting! Thank you for picking my post!! Found your blog today from bloglovin. Love the fact that you are connecting and sharing your hope and God with others. Sometimes it is a very scary thing when God starts to use us, we become afraid that He may want more than we can give. With that said; again, He calls those who will obey Him and His word. Sometimes it is also hard to know His voice but yes, He qualifies those He calls. Really none of us are qualified until God calls us. Thank you for the encouragement! Insightful post. I have been guilty of limiting God myself. People tend not to take the steps that pushes them out of their comfort zones out of fear, lack of faith, and not recognizes they can anything, if God calls you for a particular purpose. Hey Miss Joy! 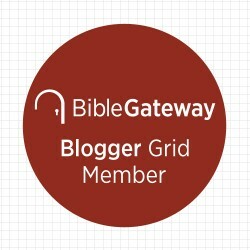 I clicked on your post from Holley Gerth’s site because your title grabbed me…! And I had to do a double take when I realized we use the same blog design! Timely post for me too– Some days I don’t feel qualified to be doing what I’m doing, but I can’t deny the call I feel God’s put on my heart. Thanks for the reinforcement to keep at it today ♥ Happy Wednesday! This is such a timely post. Both me and my mother have felt the tug in our hearts that God wants us to go into ministry together but we have yet to determine in what capacity. So we are praying for that. I love this post! So many times we dream big dreams that God has laid on our hearts, only to then tell ourselves that we’re “not qualified”….you’re so right! 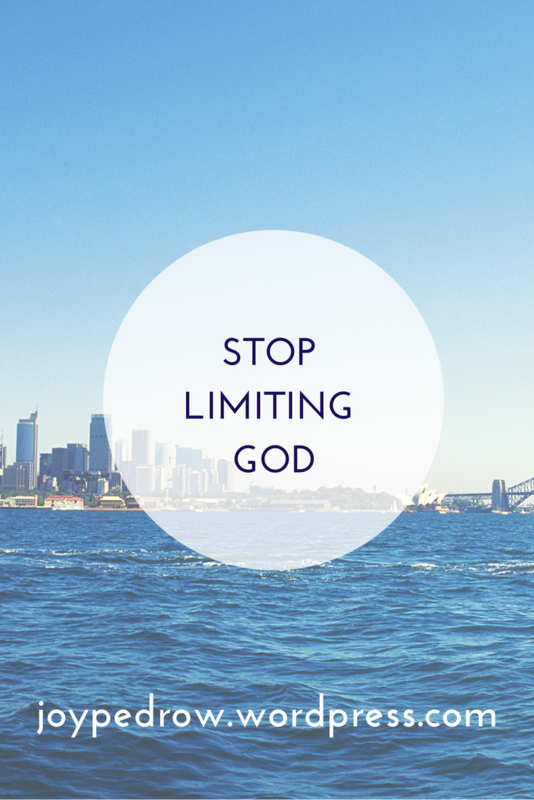 We need to stop putting limitations on what God can do through us!